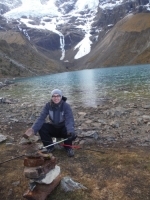 I had a great time doing the Salkantay trek. Our guides Raul and Marco were great tour guides. 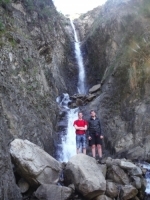 The hike was challenging but extremely rewarding. We were also fed very well. Amazing views, great food and great people! I had an amazing time on this trek. Raul was an excellent guide and spoke very good English. Marco is also great, very friendly and very funny. 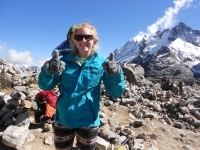 I regretted the trek at first, however everything changed when I saw the views and got to the Salkantay summit. I felt very accomplished. Throughout the Salkantay 5 day trek, I had the opportunity to experience the wide variety of natural beauty that Peru has to offer. The juxtaposition of the snow capped mountains on days 1 and 2 with the tropical climate featuring banana and avocado trees on days 3 and 4 is remarkable. 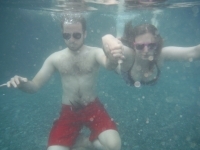 This was an excellent experience for my wife and myself. While it pushed us physically, we had amazing exposure to both the land and the culture around Cusco and Machu Picchu. 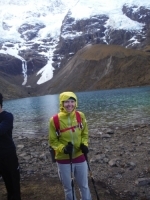 Great experience doing the trek around the big mountains in Peru. Carlos and the horsemen were fantastic showing all the natural and beautiful landscape of the trip. 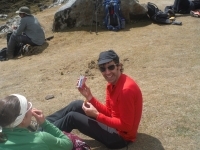 He told us several stories about the culture / language / traditions of Inca's people. 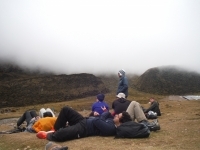 First day - it was a nice trek, the guides were really helpful and it was almost easy to do it. Second Day - A really hard day. We walked a lot but it was Ok to do it. With a lot of breaks it got easier to complete the day. It was an amazing trek up to an overwhelming altitude as well as down to the unknown and highly interesting jungle. I would like to highly recommend this trek to anybody who is interested in a big variety of landscapes. We did the Salkantay hike. Hopefully you will be guided by the King! Carlos is the man. Very well run trek. 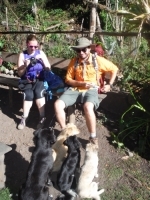 The guides were excellent - very professional and experienced. Beautiful scenery which changed daily. 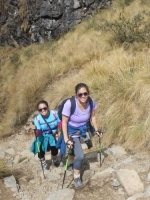 The trek is physically tough and the altitude makes it harder. But the views at the Salkantay pass make it worth it. We had an awesome trip over the mountains through the jungle to Machu Picchu with a wonderful view on the Salkantay and orchids on the way - tough but totally worth it! Met great people and collected many impressions of Peru. First of all, an amazing experience! Machu Picchu was even more breathtaking than anticipated. 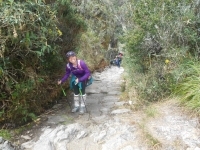 The Inca Trail was also breathtaking, but in a very different way... The OMG this is brutal, can't breath, exhaustion kind of way. But I did it and thanks to our guide and the amazing porters, so did everyone else. I couldn't be happier. 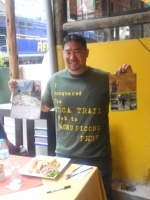 This was an incredible physically and mentally challenging trek to Machu Picchu, but with the help of our very patient guide Ramiro and fabulous porters/chefs we arrived on time, uninjured, and in one piece! The first day was fine, the second day (Dead Women's pass) was the hardest, it even hailed and it's dry season (the showers are super cold). 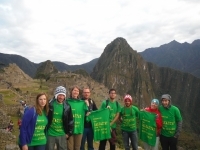 We had a wonderful trek through the Inca Trail to Machu Picchu! It was tough but beautiful, sunny and freezing, warm and friendly. The scenery is breathtaking - so many stunning views of mountains, rainforests, caves, ruins and our favorites, llamas. We got to see many llamas up close! It was a great experience overall. The trek on the way to the Inca ruins was magnificent. Great scenery on the way. The tour guides were knowledgeable on Inca history. The porters and cook did a magnificent job. This trek was definitely worth taking in the 4 days that it was stretched out. Physically tough sometimes but fantastic reward. Experience we will remember the rest of our lives. The group was great. We enjoyed every day of the trek. We'll recommend this back home. It's a great experience to be standing at an altitude of nearly 5,000 meters.